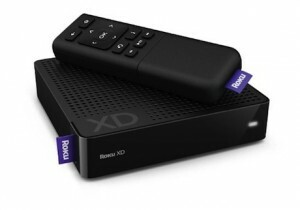 Roku, the set-top box and streaming media unit have revealed that amongst the 1 million boxes in use, more than 15 million channel downloads have been accessed. The growth is down to the low price point and the growing content available. The company say they are happy with the growth of the internet TV device since launching in 2008. They currently have more than 225 channels to stream from and growing. Roku didn’t mention what its plans are for the rest of the year, but it predicts that it will surpass 3 million customers by the end of 2011. Roku, based in California were the original Netflix streaming device, but then brought more providers onboard, including Amazon, Hulu, Crackle and MLB.tv amongst a growing list. They say they expect to have 3 million boxes in use by the years end. The Roku range comes in 3 specs, from the lower spec Roku HD for $59, to the $79.99 priced XD which supports 1080p HD and HDMI, to the high end Roku XDS. The company originally only sold online before hitting the retail shelves. The HD players can now be purchased from Best Buy, BJ’s Wholesale Club, Fry’s Electronics and RadioShack. Read the companies press release. I would like some information related to your product. BEIN Sport channel,currently available on dish satellite. Is this sports channel supported by RUKO.